Whole grains like brown rice are low glycaemic in nature, preventing sudden spikes in blood sugar levels and help control type-2 diabetes. For diabetics, it is very important to keep their insulin level in check. Maintaining a routine of daily exercise along with healthy diet may help control blood sugar levels. However, sometimes it becomes little difficult to adhere a strict routine and steer clear of all sugary foods. Quite often diabetics are not able to follow such strict diets and routine, especially when they see exotic desserts, and that's completely normal. If you are a diabetic, then you may indulge in your cravings once a while, but remember moderation is the key. There are many foods that may help you manage your diabetes naturally. Whole grains are rich in fibre that can help delay the absorption of glucose in the blood - this will further keep your blood sugar levels in control. Moreover, whole grains like brown rice are low glycaemic in nature, preventing sudden spikes in blood sugar levels and help control type-2 diabetes. According to the United States Department of Agriculture (USDA), adults must include whole grains in their daily diet. Moreover, many health experts and nutritionists vouch for the daily consumption of whole grains, as they are brimming with essential nutrients like fibre, protein and complex carbohydrates that are important for the sustainability of the human body. According to book, 'Healing Foods' by DK Publishing House, "Brown rice is minimally processed and is one of the most nutritionally dense varieties... and is a good source of thiamine, riboflavin, niacin, and dietary fibre." Many health experts recommend eating three to four servings of brown rice in a week. 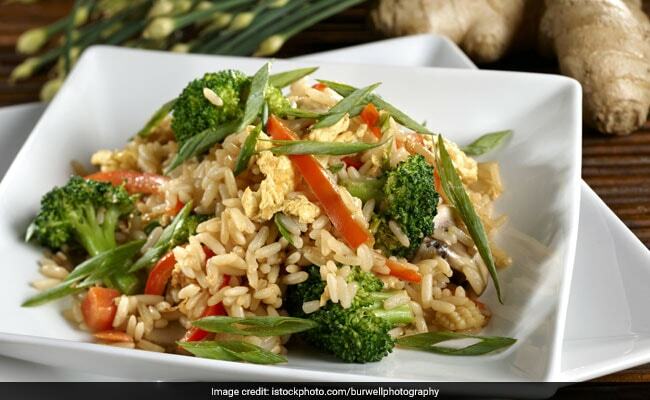 This may help lower the risk of spike in blood sugar levels, as compared to white rice. Brown rice is rich in phytic acid, fibre, and essential polyphenols and is packed with complex carbohydrate - all these help in slower release of sugars, further keeping blood sugar levels in check. Replacing daily serving of white rice with brown rice may result in reduction in overall type-2 diabetes risk.